What are the special silkscreen printing services available by Ark Industries? An advantage of silkscreen printing Singapore is that it is suitable for many types of materials and items. It is commonly used to print on apparel such as t shirts, polo tees and jackets. However, silkscreen printing can also be done on umbrellas, bags, caps and even smaller items such as thumbdrives! 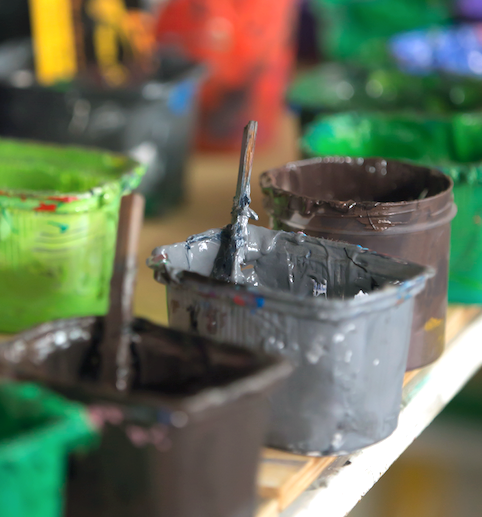 Another advantage of silkscreen printing Singapore is the vivid, brilliant colour of the inks. You can choose from a wide array of colours. Most printers mix inks to match the Pantone Colour System. Also, the thick ink coverage produces solid prints which are fairly durable. 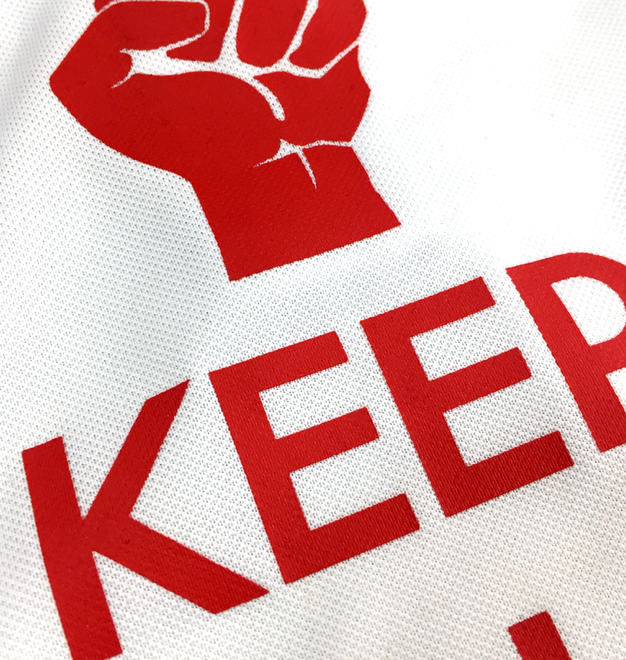 Silkscreen printing gets more cost effective when the quantity of the order is increased. The cost increases when a colour is added to the print. Typically, 1 silkscreen job consists of 2-4 colours. Silkscreen printing Singapore services include the most common method of printing flat, solid colours. However, some special silkscreen printing effects can be done. One such effect is the glitter silkscreen printing, you can choose to add some sparkle and shine to your silkscreen prints. There is also a choice of matt metallic gold or silver silkscreen print! Consider choosing reflective silkscreen printing for your t shirts or polo tees. The ink is able to reflect light and is often used to increase visibility of the wearer. It is suitable for functional and safety purposes in the sports or construction industries. 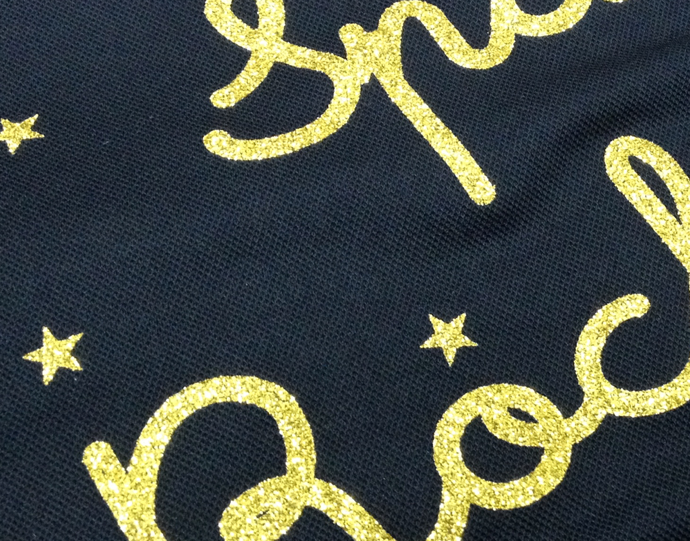 To make your tees even more special, opt for glow-in-the-dark silkscreen printing! This option uses a special type of ink that absorbs light and releases the light in dark environments. Usually, the glow looks green in colour. Usually glow-in-the-dark inks are printed on dark coloured apparel. Another effect is the foil silkscreen print as well as the puffy silkscreen print. Foil silkscreen printing requires an additional layer of fabric glue before the foil is applied on it. 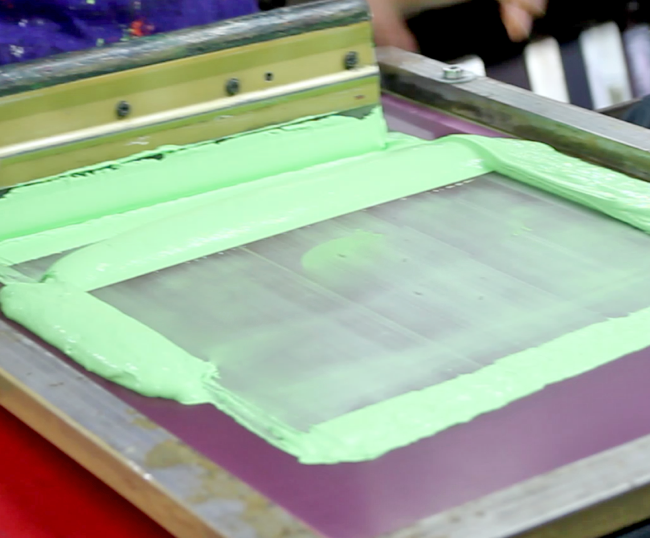 Puffy silkscreen printing requires a special ink to act as the base with the coloured ink, before heat is applied to it. However, these 2 silkscreen printing methods require a higher minimum quantity to be printed and will cost more than the traditional silkscreen printing method. Similar to the foil and puffy silkscreen printing method, another effect is the flock silkscreen print. After a layer of glue is applied, a sheet of small fibrous material is placed over the glue and treated with heat before being peeled off to reveal a flock silkscreen print. The print would feel similar to suede. If you intend to print on 100% dark coloured cotton t shirts or polo tees, an option can be the discharge silkscreen printing method. Instead of adding layers of ink to the fabric, it removes the dye from the fabric itself. This results in a soft feel and would leave the artwork in a cream or off-white colour. To add more variety to the effects of silkscreen printing, there is the high density silkscreen print. Many layers of ink are applied and that results in a more “3D” print that has more depth and thickness. With so many options of effects for silkscreen printing Singapore, the possibilities for designs are endless! Not only do you have a wide variety of colours to choose from, you get to determine which silkscreen print effect suits your design and budget!